Simple to use, safe, and hygienic, the Lipo-Light delivers effective results in just one treatment. You will be able to naturally slim, shape, and tone the areas of the body you want, including those difficult to reach areas such as the waist, hips, thighs, upper legs, and even the arms. Lose a dress size in just 4 weeks! The Lipo-Light Advanced Slimming and Toning program uses heat and specific wavelength light from Lipo-Light to naturally slim and tone your problem areas without painful surgery. 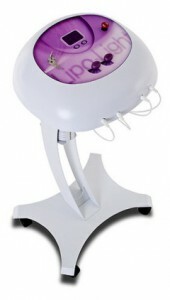 Lipo-Light targets hydrated fat cells within the body. The LED light technology travels 9mm below the skin serface and causes a break in the fat cell’s lining. The fat then seeps out of the cell, causing the cell to transform from the size of a grape to the size of a raisin. After each LipoLight treatment, you must burn 350 calories in order to burn off the fat that has left the fat cell. With healthy food choices and exercise, this fat will remain gone! See for yourself what the Results Look Like!!! 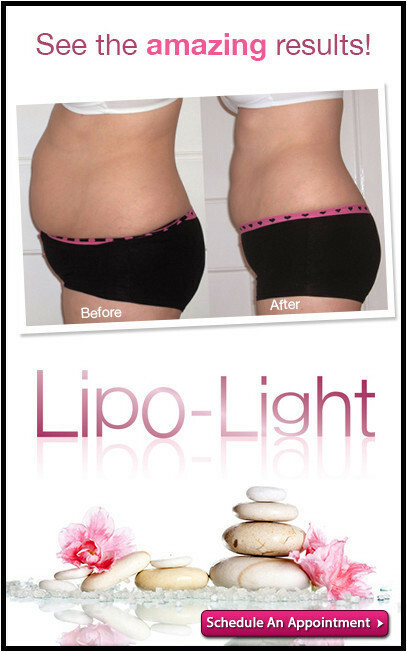 Save With a LipoLight Package! Treat one trouble spot and save $160 on our 8-pad package of eight treatments! Treat two trouble spots at once and save $240 on our 16-pad package of eight treatments! Call 995-2725 and schedule your appointment today!